Oversize Item - This item is oversized and certain shipping methods are excluded. 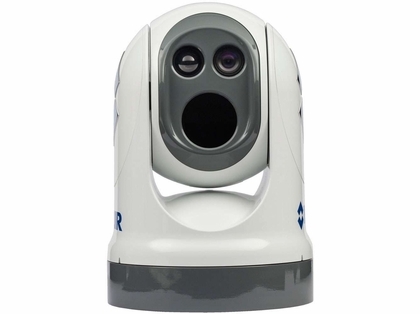 FLIR M400 Multi-Sensor Thermal Night Vision Cameras are versatile, high-performance pan / tilt marine camera systems designed for best-in-class short and long range target identification. The advanced 640x480 sensor of the FLIR M400 delivers crisp thermal video images in low-light and total darkness. For added safety, an integrated HD color visible camera and tight-beam LED spotlight augment target identification. 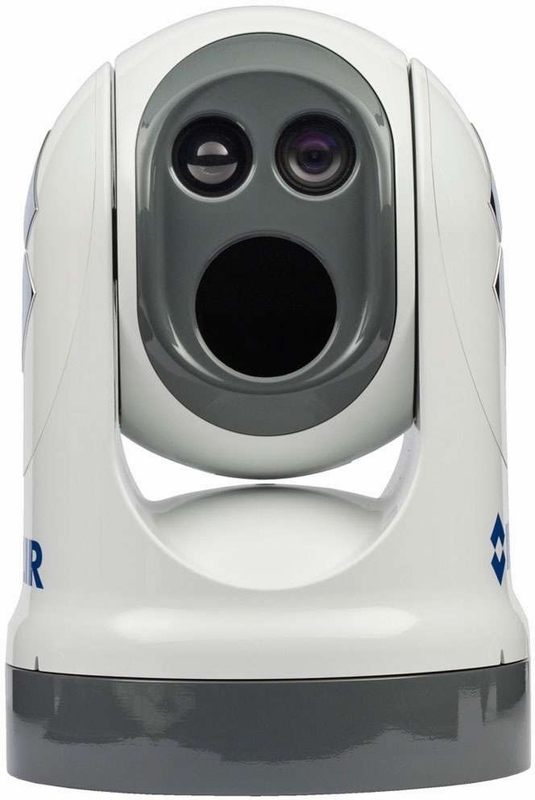 FLIR M400 Thermal Cameras have a continuous optical zoom lens (up to 4X) that allows operators to see targets and other vessels at longer ranges. Active gyro-stabilization ensures a steady image, and radar tracking and optional video tracking keep possibly dangerous targets in view at all times.